Born Christopher Brian Brides in September 1977, in Illinois to Roberta Shields, this American rapper is more commonly known by his stage name Ludacris. He developed his love for music in his early years when he started to perform in various local talent shows. According to Ludacris, it was his love of music that kept him away from drug dealings and other misconducts that were prevalent in the neighborhoods at that time. Ludacris started his music career during the late 1990s working as a DJ for a radio station in Atlanta, the center for the hip-hop culture of the South. He made his debut in rap music when he was featured in the album of well-reputed producer Timbaland’s “Tim’s Bio”, with the song “Fat Rabbit” in 1998. Capitalizing on his popularity as a DJ, Ludacris launched his debut album in 2000, titled “Incognegro,” that was distributed by the Disturbing Tha Peace label. The song “What’s Your Fantasy?” went on to become a quick hit in Atlanta and also attracted the rapper Scarface from the label Def Jam, who was hunting talent for the label’s Southern subsidiary, Def Jam South. Ludacris was signed by Scarface and he started recording for his breakthrough album. In 2000, Ludacris’ hit album “Back for the First Time” was released that contained hit songs like remix of Timbaland collaboration “Phat Rabbit,” and “Southern Hospitality.” His biggest hit from the album was “What’s Your Fantasy?” which even though had explicit lyrics, set a pattern for more “dirty” South songs that followed. In 2001, another successful album, “Word of Mouf,” became a rage, reaching third number on the Billboard 200 chart, with collaborations from the top producers and rappers in almost every song. Some of the hits from the album included singles like “Rollout (My Business),” “Saturday (Oooh Oooh! ),” and “Welcome to Atlanta,” an alliance with Jermaine Dupri. By this time, Ludacris proved to be an established hip-hop star. He collaborated with many other rappers, such as Missy Elliot in her song “One Minute Man.” The star also toured with the crew of the Disturbing Tha Peace. Ludacris’s album “Chicken-N-Beer” in 2003 did not impress the audience and was described as being cartoonish. However, in 2004, his album “The Red Light District” was released with a huge party at Atlanta’s Puritan Mills complex and went on to become a huge success and reached number one. 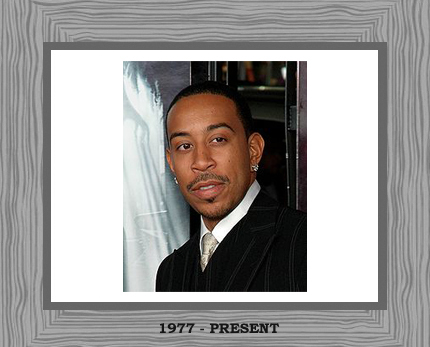 The rapper showcased his acting skills in 2003, when he acted in the film “2 Fast 2 Furious”. He was seen in the Paul Haggis film “Crash” that also won an Academy Award for the Best Film in 2005. Other film appearances by Ludacris included “Hustle and Flow”. In 2006, Ludacris’s album “Release Therapy” consisted of more introspective songs. The album showcased his growth as an artist and it went on to win the 2007 Grammy award for the “Best Rap Album” and the “Best Rap Song” for “Money Maker.” His songs addressed more serious issues such as the aftermath of Hurricane Katrina or the sufferings of imprisoned African-American men. After the album’s release, Ludacris started to talk more about his 5 year old daughter, Karma. However, he did not disclose his romantic relationships. Due to his daughter, Ludacris was able to understand the problems young women go through. He even wrote a song “Runaway Love,” about teens who leave their homes to escape from abusive parents. After its release, the rapper joined the National Network for Youth and the National Runaway Switchboard to work for the welfare of runaway teens. During 2007, Ludacris started taking his role as a social reformer more seriously and joined YouthAIDS program to help spread awareness regarding AIDS among the youth. At the same time, he worked on a teen drama, “Halls of Fame”, for Nickelodeon’s teen network. With time, Ludacris became more of a social personality and an actor rather than just being a rapper and musician. It would not be wrong to say that he is the first artist from the Dirt South to have a successful career trying his hand at singing, acting and even participating in charity work and helping the youth.